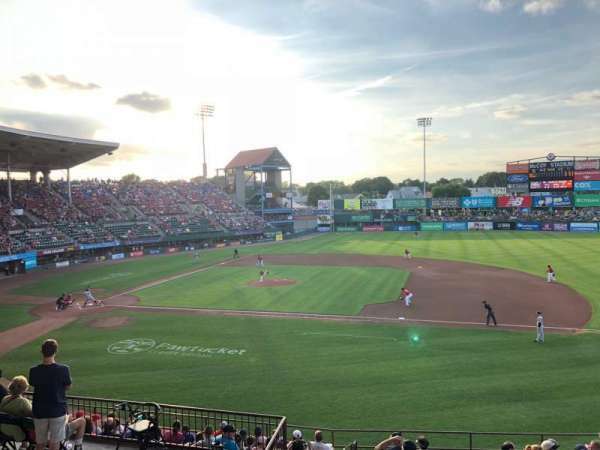 August 16, 2018 (Pawtucket Hot Wieners) - front row but need to lean forward to see over railing. May 27, 2018 - view from row AA is obstructed by railing. June 8, 2018 - screen is in view of the batting circle for seats 1-4 of this row.